Our PUR perfect binding machine creates superior Perfectly Bound Books. So what’s PUR and how does it compare to EVA (hot melt adhesives)? Especially helpful for difficult coated paper stocks, UV coated, aqueous coated. Heat and cold resistant - it stays flexible in cold temperatures. It’s great for Children’s Books, Frequently used Books, Books with Few pages, and Books with Glossy pages. Get the full scoop here. Notice that our minimum text thickness is 1/16”. We are one of the only Binderies who will perfect bind this thickness. 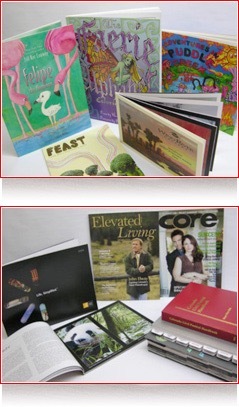 We are able to score covers in-line on binder or off-line on letterpress. We are able to bind books with tabs, foldout sheets or covers with folded front and back flaps. Please Note:"No cold" lamination for covers. MUST be applied with "HOT seal " lamination. The cold lamination process sits on top of the sheet. Also, with the cold when we score, the film delaminates.The HOT process seals with the toner/fibers. 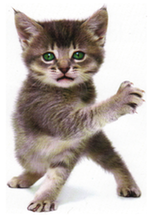 Click here for more information about lamination.